With 11 grandchildren clustered somewhat close together in age, there are bound to be times when sparks fly. I happened by smoldering fireworks when one was lounging in a bean bag chair and a cousin was standing adjacent to him looking distressed. “He’s name calling,” she said, nodding toward her cousin who was working hard on his best 6-year-old poker face. He raised one eyebrow and was noncommittal. He might have; he might not have. He was as innocent as a Cheshire cat with a small bird feather stuck to the corner of its mouth. “But it’s not my name, so it’s name calling,” she insisted. She had me there. Him, too. “He called me GRANDMA!” she wailed. I acted like I was crying, too, because my name had been used as a taunt. The precious little ones, the very ones who have showered me with construction paper bouquets and homemade cards scrawled with the words, “I love you,” were now using my name as a taunt. 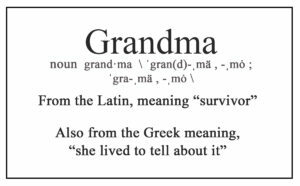 “But I’m not a grandma!” she wailed. The Cheshire cat was scanning the room for exits. He knows this grandma doesn’t just hand out cookies; she hands out the long arm of the law, too. “You called her Grandma?” I asked. I sent the verbally wounded one upstairs for a blueberry muffin. I circled back by the bean chairs a minute later and saw the younger sister of the one who had been called Mr. Blueberry Muffin Mix leaning over the cousin still lounging on the bean bags. He looked scared. I was, too, frankly. Nobody knew she had it in her. 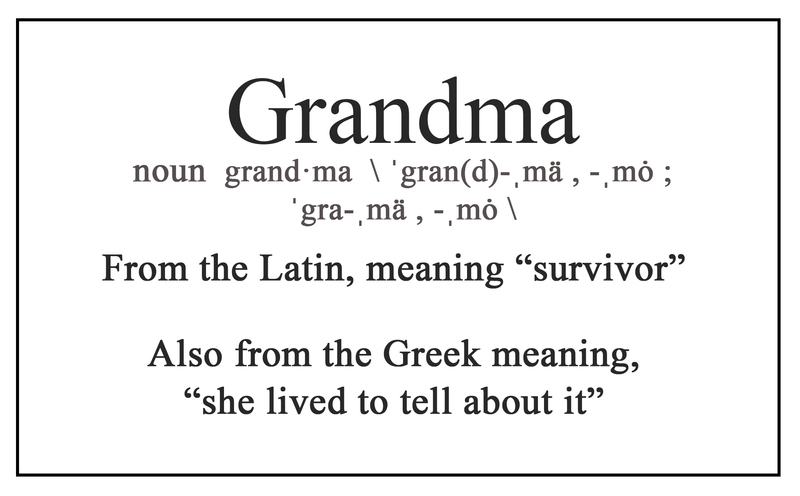 It was more shocking than hearing the name Grandma used as a taunt. Family. It’s what we do best.